Home > Location! Location! Location! They say in real estate that it is all about location. And I think it’s true. And I’m very proud of our two new Dickson office locations to better serve you. We now have an office at the west end of Donner Lake, directly across the street from the public beach. 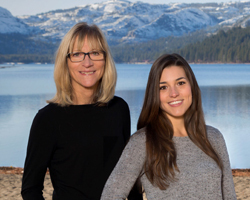 We’ve been very fortunate to partner with the folks at Donner Lake Realty, who have served the area for over forty years. My office will be handling their sales and they will continue to handle the vacation rental side of things. This location provides perfect access to all of Donner Summit, where Dickson is already a market leader, and to the entire west end of Truckee. Plus, we are about to move into our new main office at the corner of Northwoods Boulevard and Donner Pass Road at the bottom of the hill heading up to Tahoe Donner. It will be opening in mid-July. Our new building is pretty cool – it’s a LEED certified building, built to the strictest green building codes around. I’m happy to see you at either office if you are nearby. Please stop in and say “hi!”.